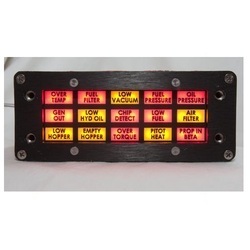 We hold expertise in offering a comprehensive range of Alarm Annunciator Panels, which is widely used as a central indicator of status of equipment or systems in an aircraft, industrial process, building and installation. These Alarm Annunciator devices provide a visual indication of a number of electric circuits. Our range is available in various customized finishes as per the details given by our clients. No. of LED's per window : Super bright 9 LED’s in three rows. The extensive range of Relay Boards offered by us provides a convenient way to add relay outputs to the project and allows in controlling high-current loads. The power is supplied in the board and connected with logic-level signals, wherein the contacts are electrically isolated from the rest of the board. 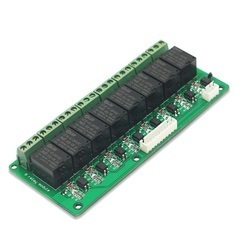 Thus, with this relay board, any logic-level signal or higher-voltage signal can be used to control a relay. Supply Voltage 12, 24, 48, 110, 230, 415 V AC + 15%, 50Hz. We manufacture and export a high performing range of Hooters, which is designed to give audio alarms at the time of emergency. 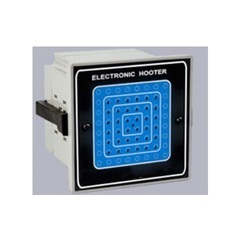 The Hooters are basically used in conjunction with alarm annunciators or controllers and can be adjusted by means of potentiometer. These are standard and customized designs as per the specific requirements of our clients. Tones: Continuous and Intermittent (Bothcan be given in single unit – selection by means of link provided on backside terminal strip. Looking for Electrical Panel Accessories ?